For this gathering, we will be exploring the foundations and the language of ritual. Ritual is a language of the soul. It is a conversation between the seen and unseen aspects of existence. The ability and need to ritualize is part of our human heritage. Using Maiden/Mother/Crone as a 3-phase metaphor, in the first phase of this session, the Maiden, we will open to knowledge and new possibilities – learning about some of the foundations of ritualizing. In the phase of the Mother, we will co-create and birth a ritual experience together. And in the final phase of our time together, we will reflect and harvest wisdom from our experiences. Love offerings accepted. Contact us at info@consciousrites.org with questions. Our theme was "Letting Go and Letting Come"
We had a really powerful meeting, using "focal space" to explore, encounter and engage with our topic of letting go and letting come. 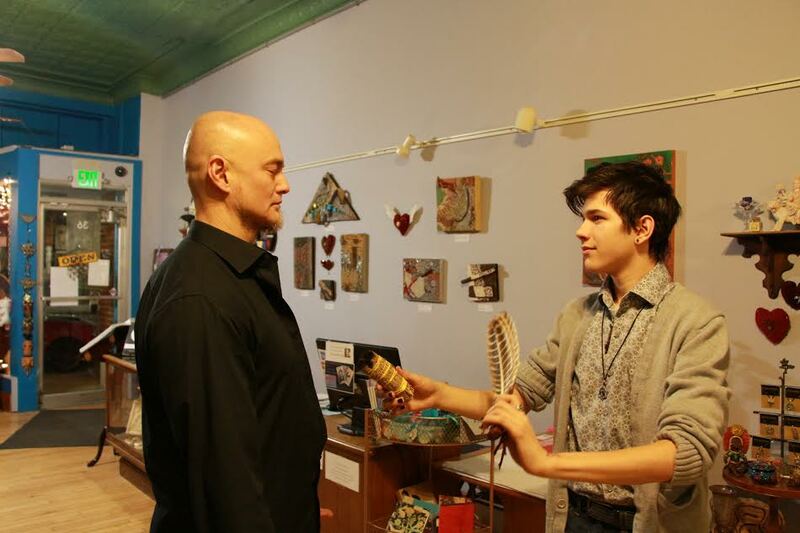 This event was the first held in The Intentional Living Collective' new office space in the Packard Office Center. Join us for a powerful, interactive symposium exploring the challenges and opportunities of our generation and this moment in history. Save the date. Invite your friends. Stay tuned for further details! 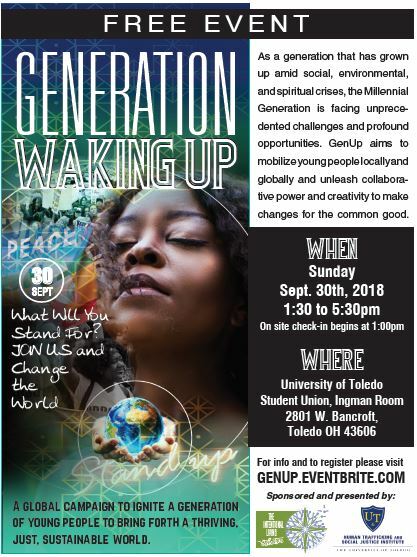 This is a free event put on by volunteers of your peers, and happily sponsored by Conscious Rites, a program of The Intentional Living Collective, and The Human Trafficking & Social Justice Institute at The University of Toledo. Please join us on June 30th, 7pm at Evenstar's Chalice in Ypsilanti for a community-based Rite of Passage ceremony in which we will focus on the "new beginnings" aspect of the life transitions we're facing - individually and collectively. We will gather in intentional community to help midwife these new beginnings for one another. In alignment with the seasonal patterns of change, we focused on the "new beginnings" aspect of transitions this time around. We gathered in intentional community to help midwife these new beginnings for one another. • A half-day workshop developed by the Pachamama Alliance delivered to hundreds of thousands of participants in over 80 countries since 2005. • A chance to learn where we are as a human family and how we got here, discover your role in creating a sustainable future, and connect with like-minded, openhearted people and move into action. • Open to the public. The $25 registration fee included admission, light beverages and snacks. Stay tuned, we will host other symposiums created by the Pachamama alliance in the near future! We at Conscious Rites created an opportunity to come together in intentional community for an evening to support, witness, and celebrate life change. 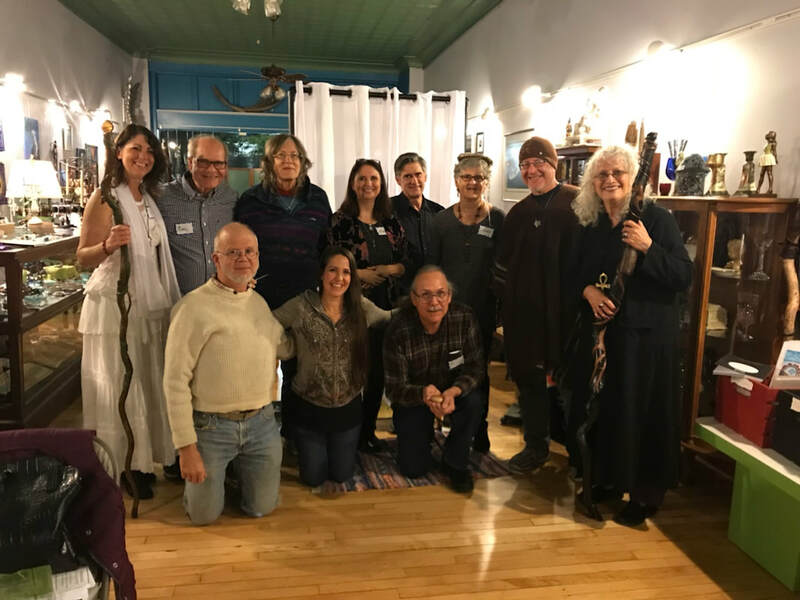 Set in the ritual space at Evenstar's Chalice in Ypsilanti, we co-created an experience and ceremony that honored the changes in all our lives, individually and as a collective. We supported individuals wanting to mark this time in their lives with this community-based rite of passage, including 5 individuals that chose to use this powerful opportunity to honor and mark their big transitions. Left to Right: Mara Evenstar, Jeanne Adwani, Russell Jones, Hillary Carpenter, Rheisa Barres.